When the Trax debuted in 2013, this Chevy vehicle was one of the first subcompact crossover SUVs on the domestic market. Now several competitors have arrived to try to grab a slice of the popular crossover pie, but the Trax has held its ground. How else can you explain that the Trax's sales numbers have increased each year since? Even 2019 numbers so far indicate this will be a banner year for this Chevy crossover. In this article, we'll briefly discuss what's new about the Trax for 2019 and why this little number has been and continues to be a rising star. The 2019 Chevy Trax continues in the same vein as the previous model year. All trim levels gained an updated MyLink radio with 7-inch touch screen. Meanwhile, some new exterior colors are now available, such as Pacific Blue Metallic, Satin Steel Metallic and Dark Copper Metallic. Otherwise, there's not much difference between a 2019 and a 2018 Trax model. If you're going to be in the car for a little while, why not make the commute fun? Whether you like music, audiobooks, talk radio, navigation, or phone calls, the 2019 Chevy Trax is the life of the party with Chevy's MyLink infotainment system. 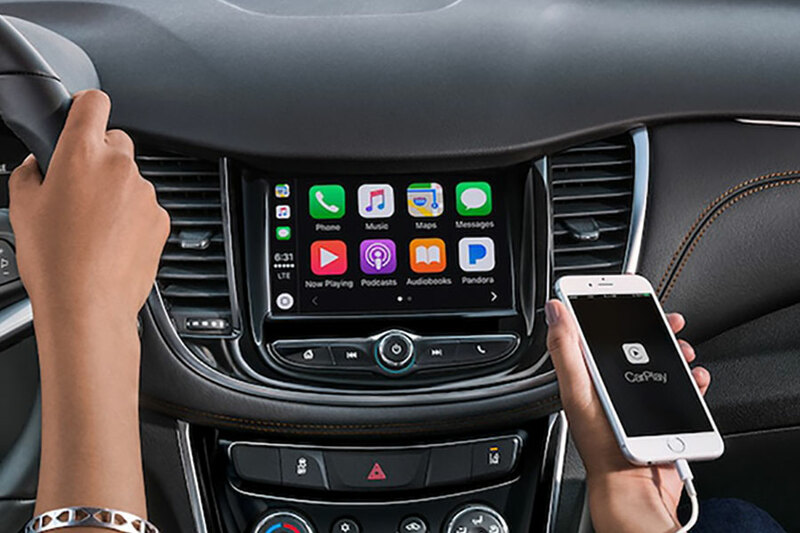 Unlike some of the competition, the Trax comes standard with smartphone connectivity in the form of Apple CarPlay and Android Auto. MyLink is hailed as being super user-friendly. You interface with MyLink on a 7-inch touchscreen that looks good to the touch, with the option to use physical buttons and knobs. Those controls, by the way, are exactly where you'd expect them to be, so you can keep your eyes on the road. Nothing's much fun if you're uncomfortable. Luckily, the Chevy Trax has wide, comfy seating for you and up to four friends. The cabin is surprisingly roomy for a subcompact crossover, thanks to ingenious design on the part of Chevy. Lots of head and leg room up front, where you need them most. 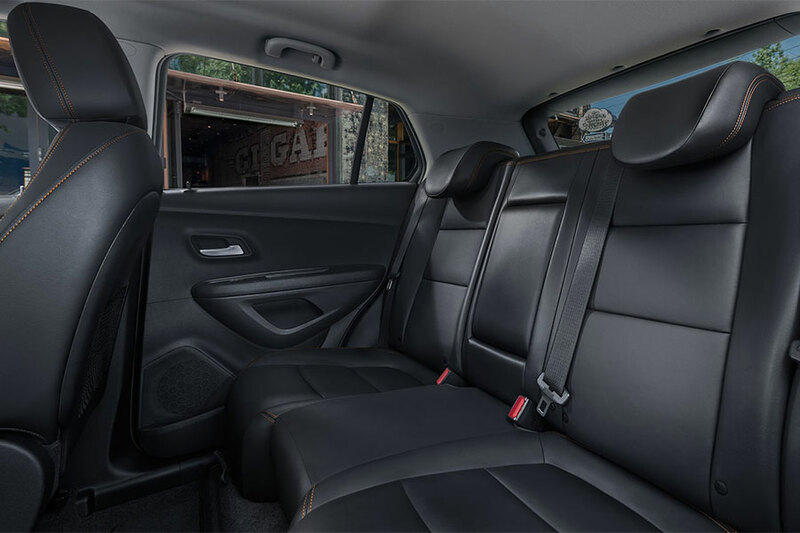 Even the back seats can comfortably accommodate all but the tallest adults. Finally, there are two LATCH car seat connectors in the back seat for the little ones. But if you don't need that back seat, fold it down to make room for a whopping 48 cubic feet of storage space in the hatchback. And if you weren't already convinced that the 2019 Chevy Trax should be your next commuter car, check out these numbers. The Trax gets 25 city miles and 33 highway miles per gallon. Some critics pooh-pooh the Trax's engine for not being a supercharged sporty dream. But the higher the horsepower, the thirstier the engine. If you prefer to just get to work and leave the joy riding for the weekends, the Chevy Trax is a good car with great gas mileage.